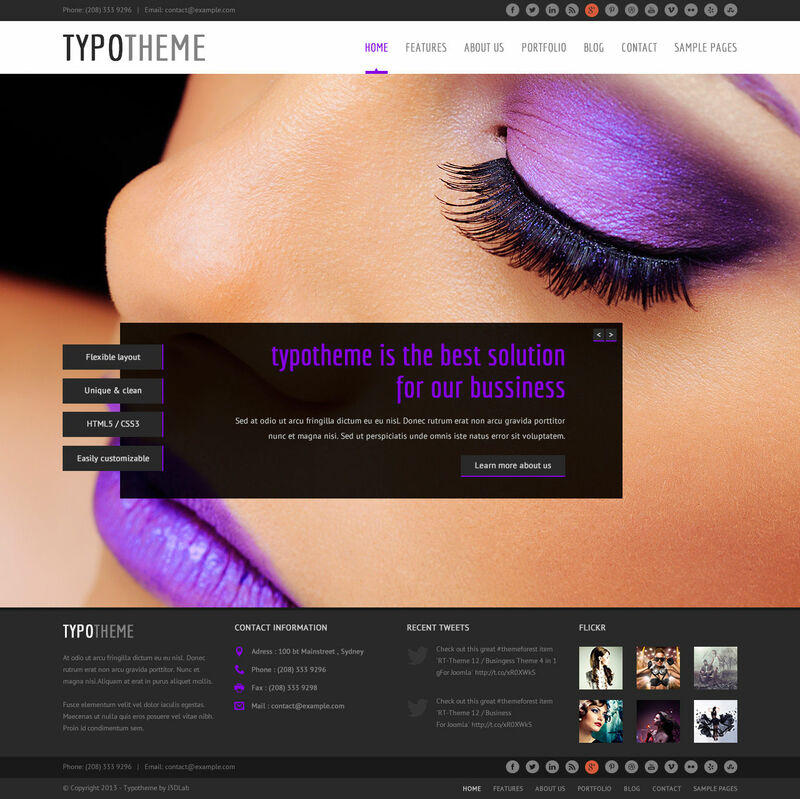 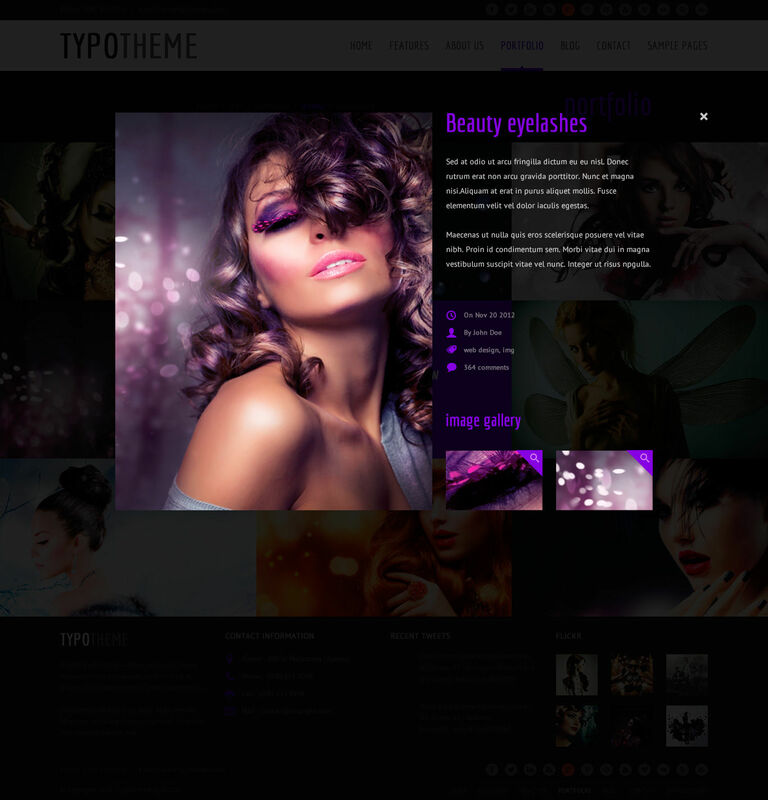 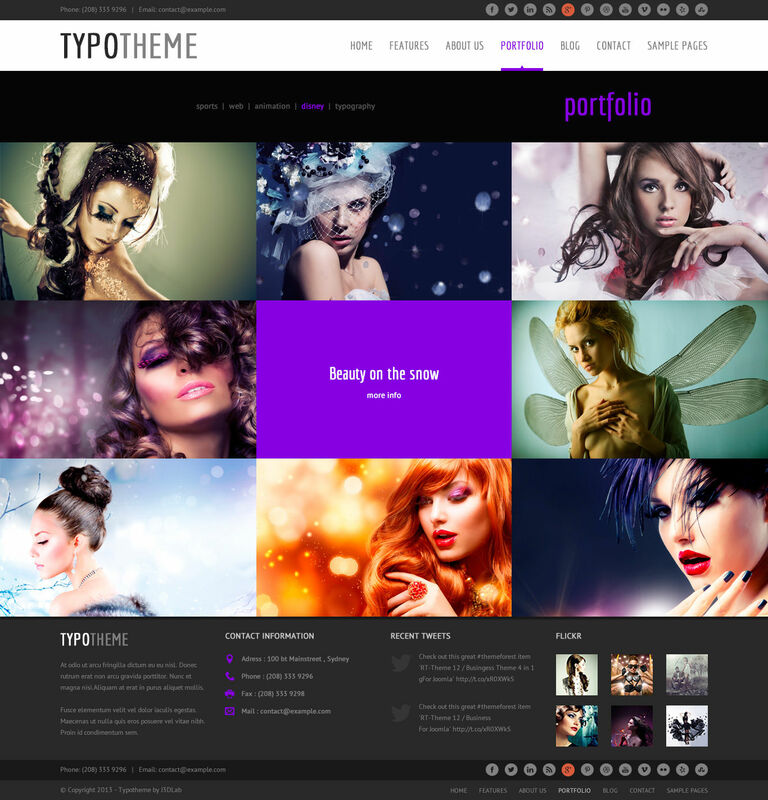 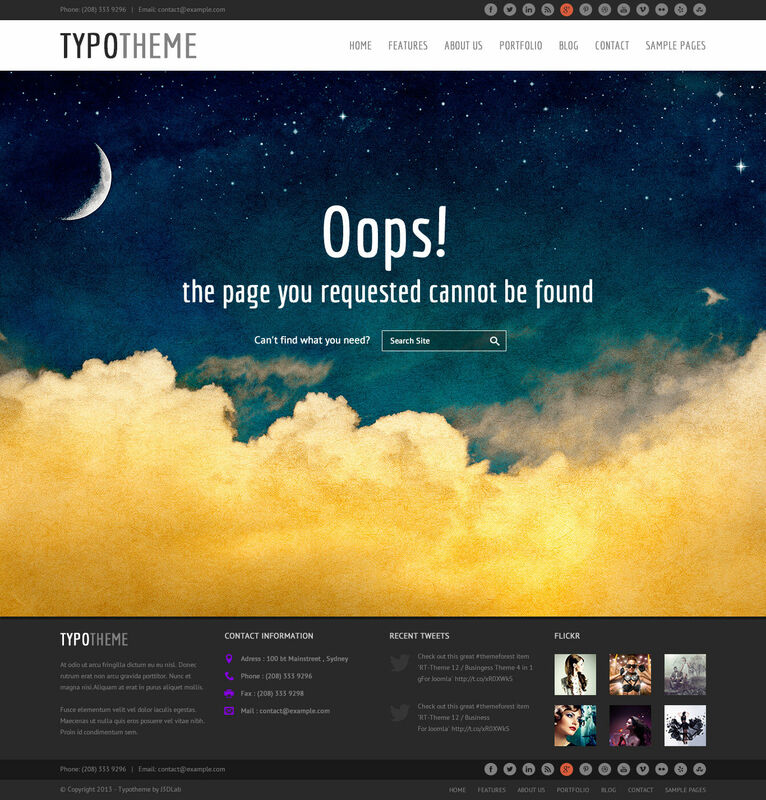 Typotheme is an asymetrical template. 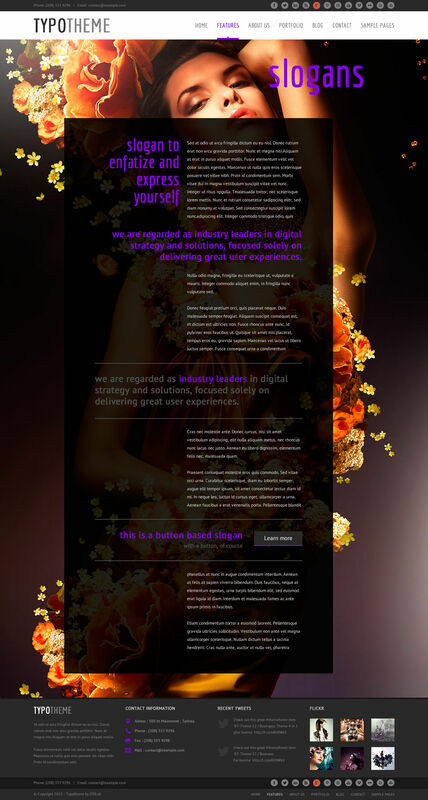 As you can see in the “blog article” page or in “about us” sample page some images come out of the black background. 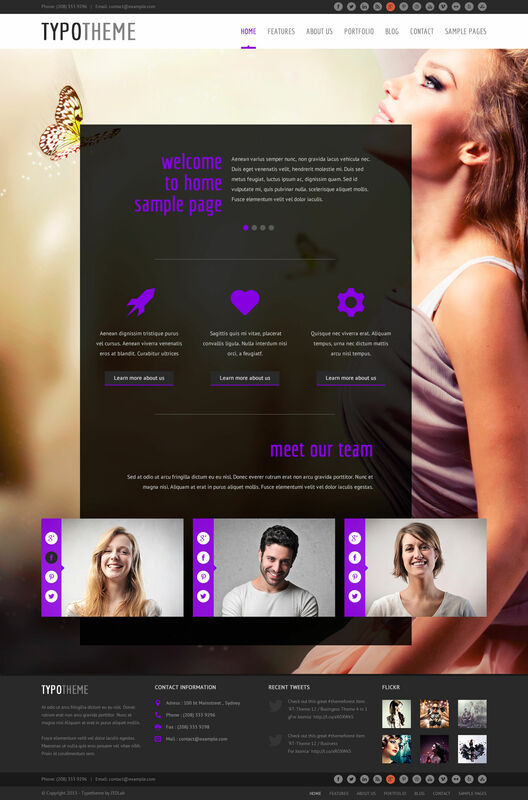 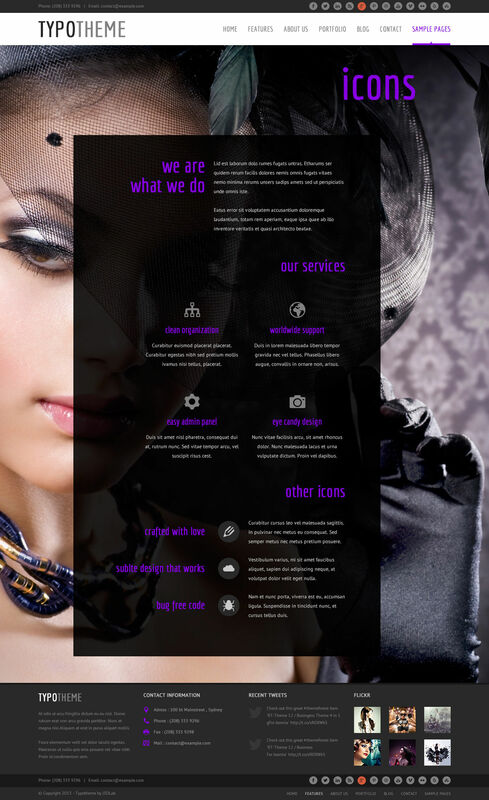 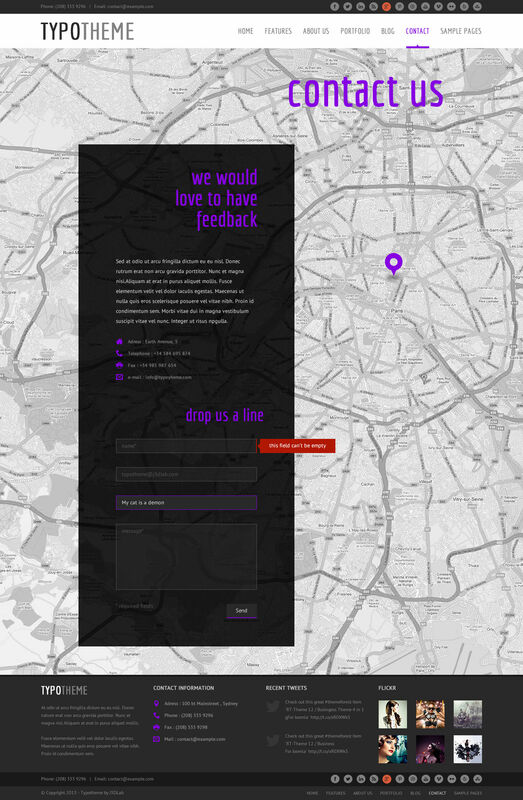 You can use it to give attention to detail an a modern look on your website. 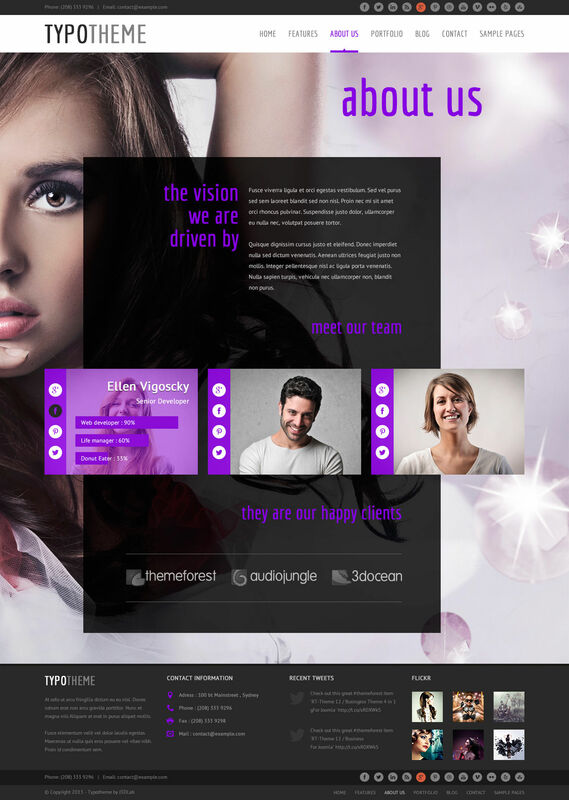 Other element that make this template unique is the utilization of breaking elements in the page’s content. 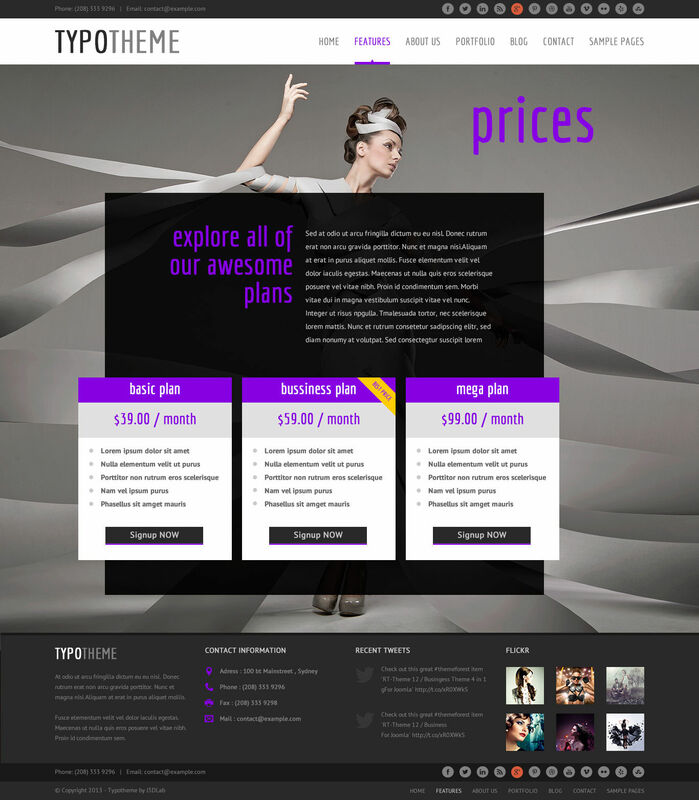 This elements are most present in homes but you can also found in inner pages (Calendar). 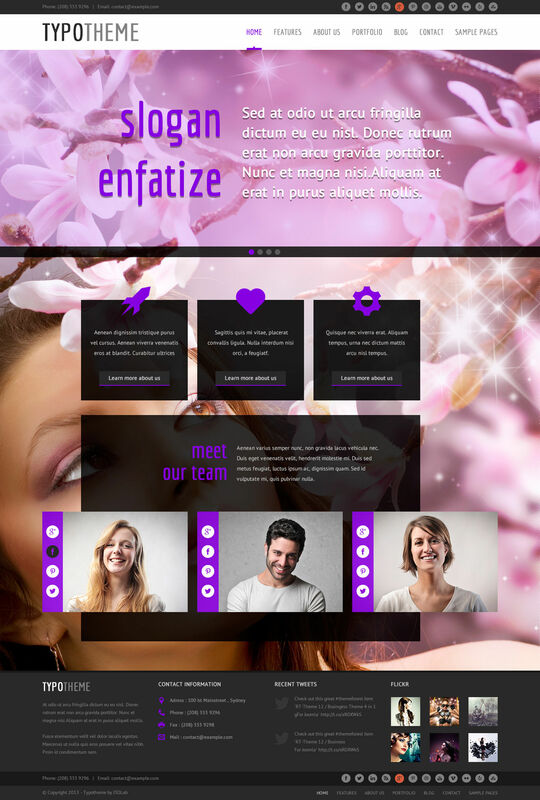 You can integrate this single elements in the black background if you want a more unificated look.